Highlights will include over 10,000 plants, expert led workshops, Kids Zone, concessions and more! 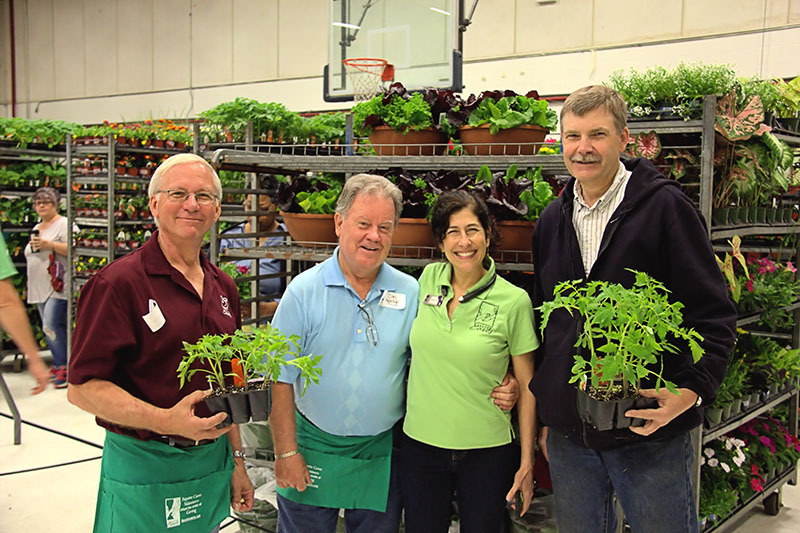 The Annual Fayette Cares Plant Sale is an event for the entire family. 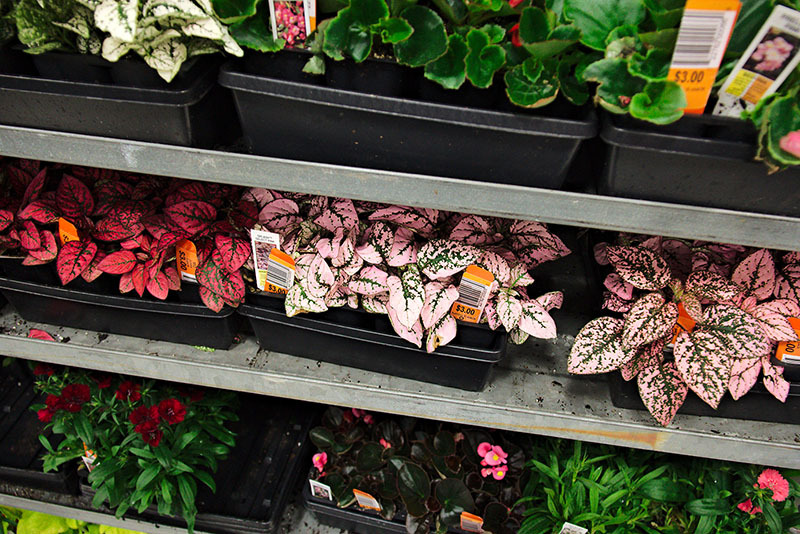 Shop beautiful plants at great prices and learn about gardening with expert-led demonstrations while children enjoy the Kids Zone. Feel good about your purchase knowing all proceeds help provide safety from domestic violence, shelter for the homeless, and stability for families in financial crisis. Back by popular demand, the event will be held at Oakland Elementary School in Oakland, just across the street from Kroger on Saturday, April 13, from 8:30 am to 2:30 pm. Over 10,000 plants, including over 500 varieties of flowering annuals, perennials, ferns, vegetables, herbs, and ornamentals will be available plus table-top gardens, and garden accessories. 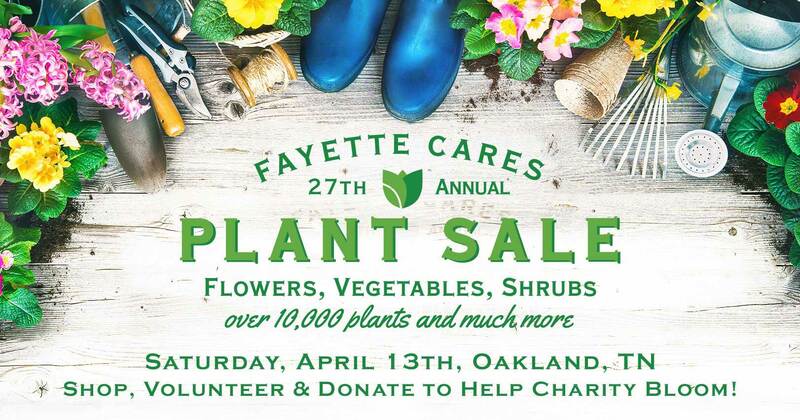 The sale will feature a Homegrown section and Garden Bazaar complete with many treasured heirloom plants and garden accessories with 100% of the proceeds benefiting Fayette Cares. We need your help to make the Homegrown section successful. We request anyone who is thinning plants or cleaning out their garden or garage donate plants, garden tools, and lawn decorations to help those in need. Please call and leave a message at (901) 465-4127 to schedule a donation pick up. Products will be available from trusted vendors throughout the Mid-South. Fayette County Master Gardeners and plant experts will be on-hand to offer advice and guidance. Kindred Spirit Style will also be on-site with stylish gifts and garden accessories. Those who shop, donate, or volunteer at the charity sale will help charity bloom by helping those in need throughout our community. Learn more at FayetteCares.org/Plants or call (901) 465-3802 x 223. The mission of Fayette Cares is to empower those in need with solutions to end homelessness, break the cycle of domestic violence, and create stability and self-sufficiency from crisis. Fayette Cares has served the Mid-South as a community-supported non-profit organization since 1986 and is a United Way agency.